Witch burned AD. 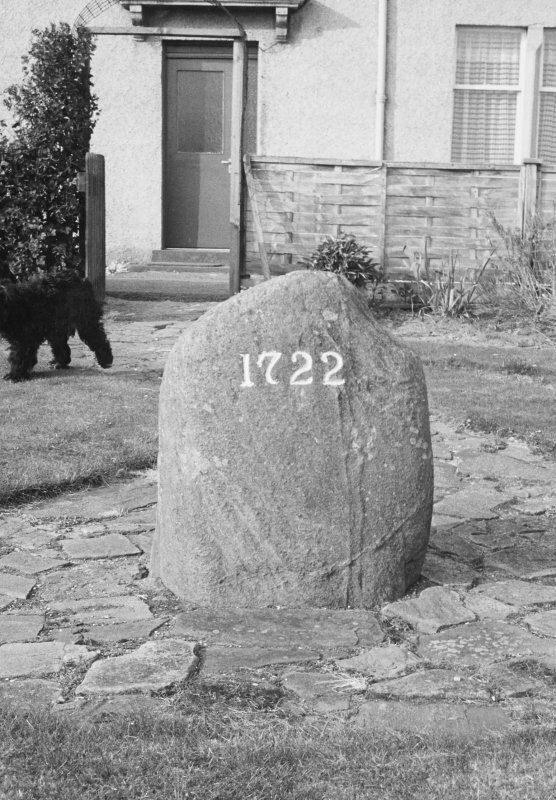 1722 - "This stone which marks the spot where this event took place, stands in a garden in front of the east most house of "Little Town". The date of the occurence is marked on the stone - "1722". This is the last instance of these executions occurring in the north of Scotland. Visited by OS (A A), 31 March 1971.